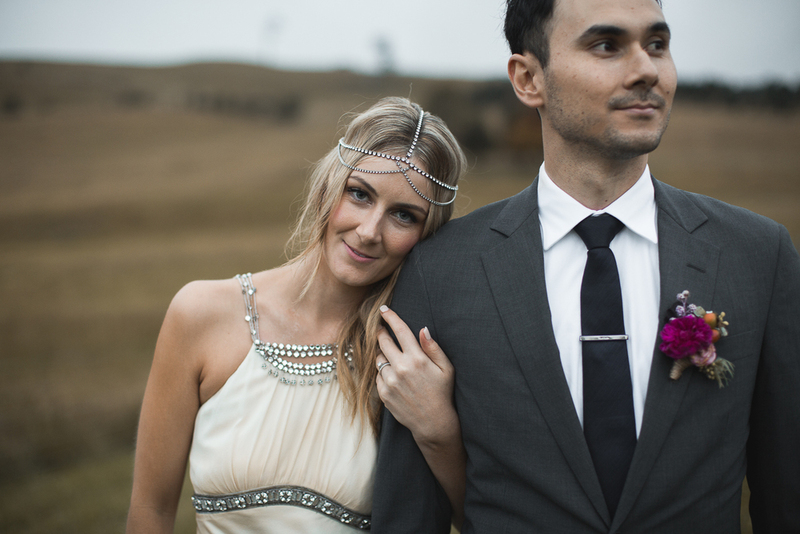 Gareth and I can't thank you enough for what you created for our wedding day. Everything looked perfect. It was elegant, understated and matched the venue perfectly. My girls loved their bouquets and we had so many lovely comments from guests about the love you obviously have for what you do. Throughout the whole planning process you were patient with me and willing to accommodate all my changes. I'll be recommending you to everyone I know with a need for your talent! Also thought you'd like to know that we went back in the morning and saw that our table decorations had been set aside so we took them up to bowral hospital and donated them to people who needed a little brightness in their day. Thank you again- it was amazing. What an amazing job you did on our reception and all wedding flowers for our wedding. The bouquets looked incredible ..I was blown away. Then to walk into the reception to see the absolutely stunning table arrangements ....we were both in awe !! We actually couldn't believe our eyes...you created a fairytale. The comments we received all night were overwhelming ! Thank you a million. I will be sure to send through photos when I get them back !! Words cannot express how happy we were with the arrangements you made for our wedding. Even with the gloomy and rainy weather, my spirits were not dampened (pun alert!) with those flowers placed so carefully around the room. 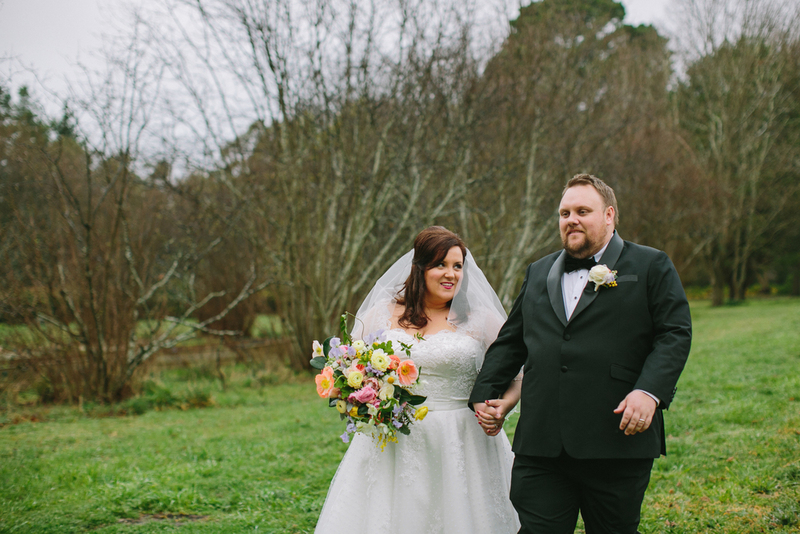 My bouquet was just beyond my wildest dreams, even more perfect than I could ever, ever imagine. And the detail of each arrangement was extraordinary. Even now, two days after, I'm discovering all of these flowers that I didn't even know were in there,each time I look, there is something new and beautiful to see. Every guest at the wedding was overwhelmed with the flowers, saying they had never seen arrangements so breathtakingly beautiful - I nodded and said you knew you your 'shizzle'. (have you been? So breathtaking!) and your arrangements surpassed these incredibly high expectations. So, not only are you a genius at what you do, you are also easy going, lovely and sweet and all of these qualities have made you an absolute DREAM to work with, I appreciate what you've done for us so much. If there is anything I can do in the way of compliments for your work or photos of the flowers etc, please let me know and I will act in a heartbeat. I can't thank you enough - dreamweaver!! Where do I start! You are......I cant even put one word on it, you are magical, amazing, crazy and beautiful!! You created an absolute dream for us on Saturday and we cant thank you enough. It was beyond anything I ever dreamed it would be. Everyone was so amazed by the flowers, the comments are still coming through - mostly with 'APPLES LOVE IT!!!! I fell in love with your designs online but then when I met you I was head over heels, you are so warm and beautiful - I couldn't stop talking about you to everyone after our first meeting (stalker I know). I just want to live in your dream land forever!! Thank you so much for everything! It meant so much that you were so excited with me and weren't just there to drop and run. I will forever be grateful to you for that. I just wanted to email you to say a HUGE THANK YOU!! You did such an amazing job for Daniel and my Wedding. 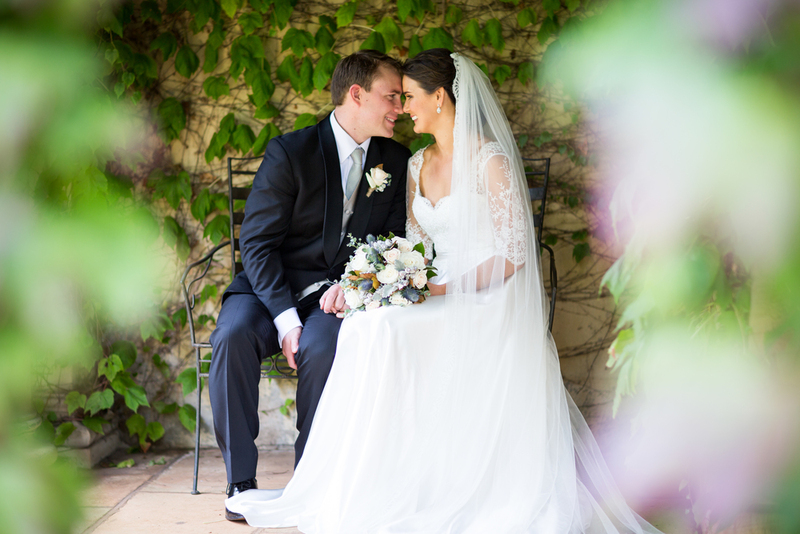 The flowers were absolutely stunning, beyond all expectation and we couldn't be happier! 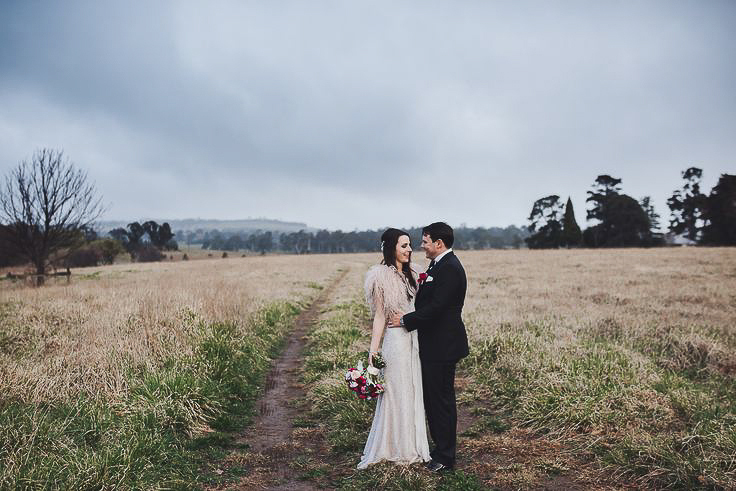 I have received so many compliments on your work and have a few friends getting married in the Southern Highlands so have sent them your way! I just wanted to thank you so much for your amazing work with the flowers and reception. You're so talented and we really appreciated all your effort. I was absolutely blown away by the bridesmaids and my bouquet. The colours and detail was amazing, I couldn't have asked for more. We found you so lovely to work with and were really happy with everything on the day. The tables were magical, it made my day. Thank you again for everything, beautiful doesn't even begin to describe how your creations made my day! An absolute credit to you Michelle also for taking us on so late and being so flexible and just a beautiful person. I have been recommending you and cannot speak highly enough of our experience together. Just wanted to thank you for the beautiful job you did with my flowers on Saturday. My bouquet was absolutely amazing, I loved it! The girls flowers were beautiful as well.Wayne commented on what a nice lady you were and how friendly you were.The flowers in the reception were amazing, they just tied everything together. I had so many wonderful comments on how lovely the flowers were. Thank you again for making my day everything I had hoped for! We're so sorry it has taken us so long to send some photos to you - it has been a whirlwind since the wedding! We've had so many of our guests compliment your flowers - they were absolutely beautiful, exactly the colours we were after and they made the wedding feel so beautiful and special. You also did an amazing job setting the tables at our wedding reception - I was blown away when I walked in for the first time! Thank you so much!